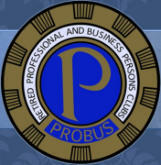 Membership New Members We welcome all enquiries to become a member of The Probus Club of Skegness. Please contact the Secretary, Mike Adams, by-email, if you would like to attend one of the meetings and then he can organise a taster for you. Or, if you know a member, ask to go along with him. We meet on the 2nd & 4th Wednesday of each month. For further details see the Programme of events. We meet at The Vine Hotel, Vine Road, Skegness. At present the club has sixty members. All enquiries will be answered as quickly as possible.